Eco-friendly means earth-friendly or not harmful to the environment. This term most commonly refers to products and practices that contribute to green living and help conserve resources like water and energy. Eco-friendly products also prevent the polluting of air, water and land, which in turn have a positive impact on the health and well-being of the society. In order to lessen the harmful effects of economic development on the environment, it is necessary to be aware of and engage in eco-friendly habits or practices by being more conscious of how to use resources. About 68% of India’s population lives in villages and their livelihood is closely tied to the natural environment. In spite of their diverse skills, poor villagers rarely receive fair prices for their crops, products and labor. Many are forced to migrate to the already crowded cities. The key to an economically developed India is to enhance the villagers’ skills and transforming them into sustainable business opportunities at the grassroots level. 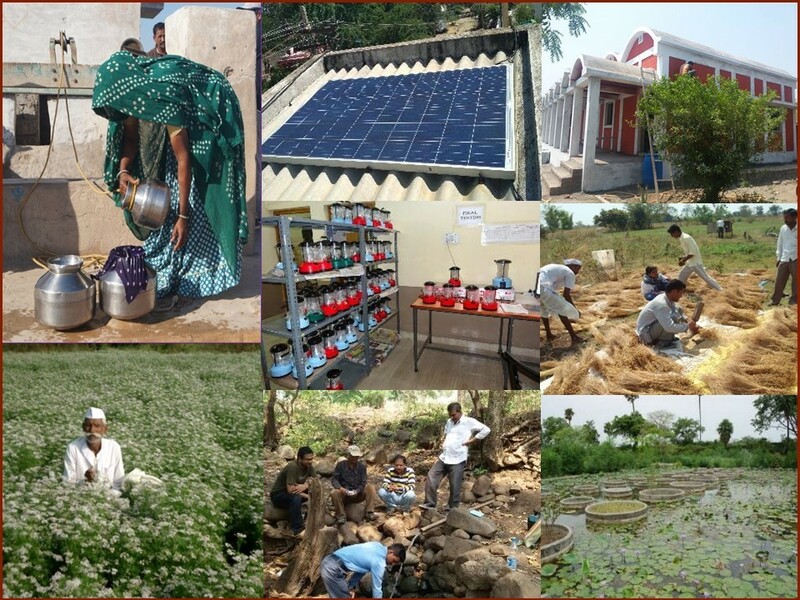 IDRF funds various programs through NGO-partners that facilitate rural enterprises – such as organic farming, dairies, weaving and water harvesting –by incorporating clean-energy technology and practices and also in conservation of biodiversity and natural resources.